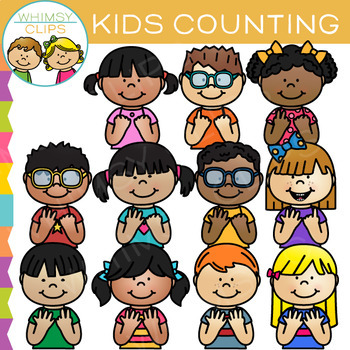 Kids counting clip art that features 11 various kids counting using their fingers from 0-10. These images are sidekick style, which means they are made for small spaces and have straight and clean bottom lines for easy positioning. You will receive 22 high-quality image files, which includes 11 color images and 11 black & white images in png. All images are 300dpi.